WolffPack is a privately held corporation committed to serving the administrative needs of the financial aid community through software development, regulatory updates, and technical and functional consulting. Our sole focus is software and services for higher education. We believe that innovative system development, early regulatory updates and strong customer relationships are all integral to our mutual success. 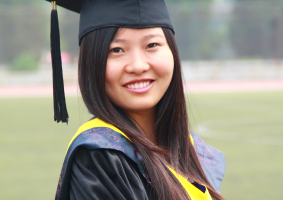 With a wealth of functional and technical expertise acquired over many years of experience in designing, developing and implementing financial aid systems, WolffPack personnel are a well-rounded team. Our active participation in professional organizations and close ties with agencies serving the financial aid community help us to monitor regulations and anticipate trends in financial aid. Our signature system, FINANCIER, offers superior financial aid management functionality, seamless integration with other student applications, and up-to-the-minute information for students, staff, and upper management. With FINANCIER’s easy navigation, web pages that mirror input and output documents, online printing and data extract functions, counselors and administrative staff respond efficiently and confidently to all requests, while keeping control of financial aid data where it belongs–in the aid office. And FINANCIER’s technical design, which employs industry-leading technologies and readily available open-source programming languages, provides maximum flexibility for operations and maintenance. FINANCIER: from ISIR to FISAP, it’s a better experience for all your users. With unparalleled experience in designing and implementing regulatory updates, WolffPack provides Regulations Services for certain third-party financial aid systems. Timely, accurate code and dependable support from WolffPack not only ensures compliance, but frees your technical staff and extends the life of your legacy system. Our work is guaranteed. Period. And we are available when you need us – even if it’s after 5 or on the weekend. 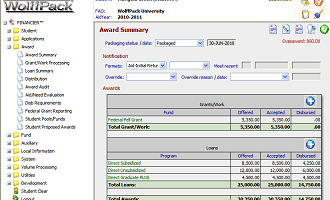 At WolffPack we know that administering financial aid is about more than numbers. get the gift of higher education. with fewer worries about audit compliance and exceptions. make informed decisions and early commitment to attend your institution. to improve retention and graduation rates, insure fiscal responsibility and reduce default rates. It’s about faith in your mission and confidence in your resources. We share your commitment and we’re ready to help.